As a new model for the supply of infrastructure and public services in China, PPP has received much attention from all walks of life and has been gradually valued by auditors. PPP projects, concession establishment, contract fulfillment, government procurement, fund collection and capital operation, relevant economic responsibilities, etc., should become the new goals and priorities of modern auditing. Through the collection, the relevant literatures on PPP audit research at home and abroad are compiled. Starting from the necessity analysis of PPP audit research, the important viewpoints of experts and scholars at home and abroad in the field of PPP audit subjects, methods, contents and methods are described and analyzed to advocate and put forward the research focus of auditing based on the quantitative evaluation model of purchasing power parity. 易永英. PPP市场现十大乱象: 强监管纠偏纠错规范发展[EB/OL]. http://www.stcn.com/2018/0423/14145088.shtml, 2018-04-23. Hecht, H. and Niemeier, D.A. (2002) Comparing Transportation Project Development Efficiencies: The California Department of Transportation and the California County Sales Tax Agencies. Transport Policy, 9, 347-356. Sthomas, N.G. and Yoki, M.W. (2007) Payment and Audit Mechanisms for Non Private-Funded PPP-Based Infrastructure Maintenance Projects. Construction Management & Economics, 25, 915-924. Smyth, S. and Whitfield, D. (2016) Maintaining Market Principles: Government Auditors, PPP Equity Sales and Hegemony. Accounting Forum, 41, 44-56. 包建华, 方世建. 城市公共工程公私合作项目绩效审计创新模式研究[J]. 城市发展研究, 2012, 19(10): 31-36. 陈胤默, 范维辉. PPP跟踪审计理论与政策建议[J]. 中国物价, 2017(6): 88-91. 王予函. 我国PPP项目绩效审计机制研究[D]: [硕士学位论文]. 重庆: 重庆大学, 2016. 孙凌志, 贾宏俊, 任一鑫. PPP模式建设项目审计监督的特点, 机制与路径研究[J]. 审计研究, 2016(2): 44-49. 王立国, 张莹. PPP项目跟踪审计探讨[J]. 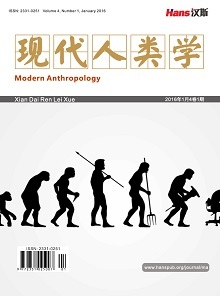 审计研究, 2016(6): 30-35. 焦胜. PPP模式对建设项目审计的影响及路径优化[J]. 商业会计, 2017(5): 36-39. 时现. 公私合伙(PPP)模式下国家建设项目审计问题研究[J]. 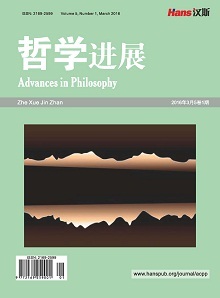 审计与经济研究, 2016, 31(3): 3-9. Bititci, U.S., Carrie, A.S. and Mc Devitt, L. (1997) Integrated Performance Measurement Systems: An Audit and Development Guide. The TQM Magazine, No. 1, 6-53. Grimsey, D. and Lewis, M.K. (2002) Evaluating the Risks of Public Private Partnerships for Infrastructure Projects. International Journal of Project Management, 20, 107-118. Abdul-Aziz, A.-R. and Jahn Kassim, P.S. (2010) Objectives, Success and Failure Factors of Housing Public-Private Partnerships in Malaysia. Habitat International, 35, 150-157. English, L.M. (2010) Performance Audit of Australian Public Private Partnerships: Legitimising Government Policies or Providing Independent Oversight? Financial Accountability and Management, 23, 313-336. Ngoepe, M. and Ngulube, P. (2016) A Framework to Embed Records Management into the Auditing Process in the Public Sector in South Africa. Information Development, 32, 890-903. 鲁心逸. 印度PPP基建项目审计及借鉴[J]. 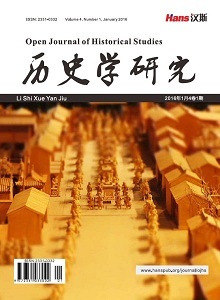 审计研究, 2015(4): 55-59. 胡雪海. 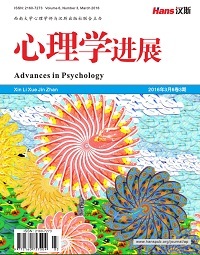 混合经济背景下PPP项目跟踪审计模式研究[D]: [硕士学位论文]. 蚌埠: 安徽财经大学, 2017. 方俊, 任素平, 黄均田. PPP项目全过程跟踪审计评价指标体系设计[J]. 审计研究, 2017(6): 14-21. Bourn, J. (2007) Public Sector Auditing: Is It Value for Money? Wiley, Hoboken. David, S. and Anand, P. (1996) Performance Auditing in the Public Sector: Approaches and Issues in OECD Members Countries. In: Performances Auditing and the Modernization of Government, OECD, No. 6, 57-76. Arie, H. (2002) Who Gets What, When, and How: Performance Measures for Accountability? For Improved Performance? International Review of Public Administration, 7, 85-95. Barrett, P. (2011) Commentary: Performance Audit of PPPs—Getting the Basics Right. Australian Accounting Review, 21, 99-106. 彭尚庾. PPP投融资模式下公共投资项目绩效审计初探[J]. 财会通讯, 2017(31): 105-107. 梁恒. PPP项目绩效审计要素及机制构建——以英国地铁PPP项目绩效审计为例[J]. 新会计, 2017(8): 43-48. Anonymous (2009) European Auditors Criticize Oversight of Galileo Program. Satellite Today, 8, 6-10. 刘艳波. PPP模式下高速公路建设项目全过程跟踪审计研究[D]: [硕士学位论文]. 昆明: 云南大学, 2015. Pomeranz (1997) The Accounting and Auditing Organization for Islamic Financial Institutions: An Important Regulatory Debut. Journal of International Accounting, Auditing and Taxation, 123-130. Ronell, B. and Raaum, M. (2001) Performance Auditing a Measurement Approach. Altamonte Springy FLA Institute of Internal Auditors. Miklos (2012) Application of Sensitivity in Investment Project Evaluation under Uncertainty and Risk. International Journal of Project Management, 17, 217-222. Kinney, W., Kuting, K. and Webber, C.-P. (2007) Management with the SAP-Aduit Road-Map. In: Internal Audit Handbooks, Springer, Berlin, Heidelberg, No. 12, 272-280. 庞艳红, 王瑶瑶. PPP模式下审计组织方式创新研究[J]. 财会通讯, 2017(25): 82-86. Yamamoto, K. and Watanabe, W. (1989) Performance Auditing in the Central Government of Japan. Financial Accountability and Management, 5, 199-217. Grimsey, D. and Lewis, M.K. (2002) Evaluating the Risks of Public Partnerships for Infrastructure Projects. International Journal of Management, 20, 107-118. 刘骅, 陈涵. 政府和社会资本合作(PPP)项目运营绩效审计研究[J]. 金融理论与实践, 2017(6): 45-50. 李心佩, 陈新明, 陈安君, 高珂. 基于战略管理三角模型的PPP项目绩效审计研究[J]. 审计研究, 2017(6): 9-13.